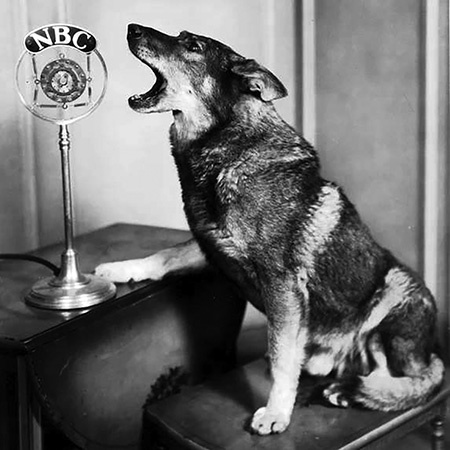 "Father Knows Best: An Uncontrolled Dog"
From mans best friend to man wolves, the OTRCAT Dog Collection includes radio shows about dogs. Our mascot, OTRCAT long fought having a Dog Collection on our website. However, after many requests from radio and dog fans, we have created this wonderful canine companion inspired collection. 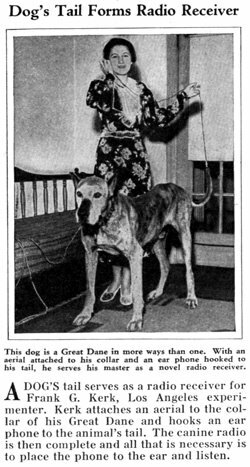 Cathy sneaks a scary, huge dog into her playroom in Father Knows Best. 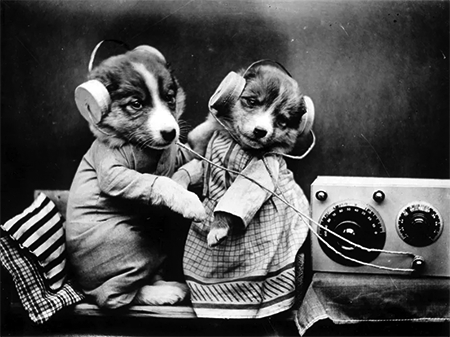 In Suspense a DJ investigates a haunted house with his dog, only to have the dog run out of the house! In Dragnet, a man that appears to be more wolf-like is hunting the women in Los Angeles. 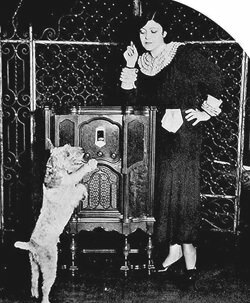 It's National Dog Week in Fibber McGee and Molly and Fibber tries to convince Molly to get a dog. Be the first to comment on "Dogs in OTR"